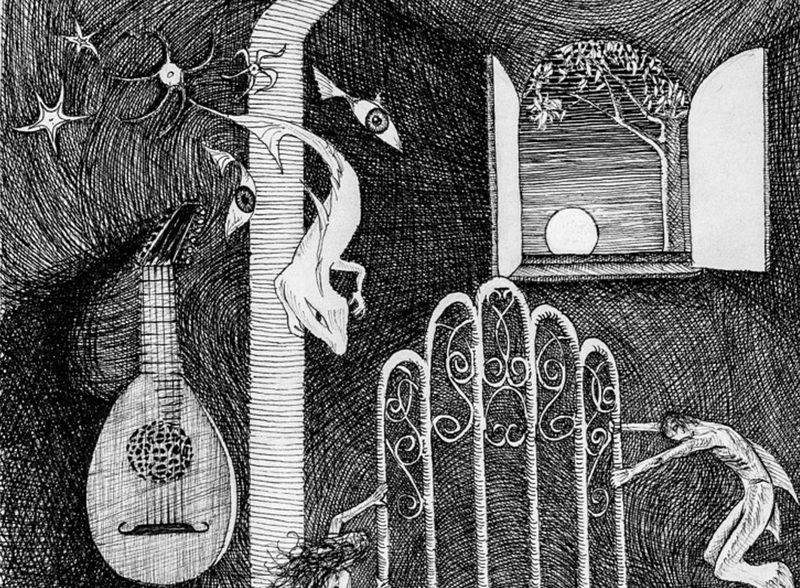 This pen & ink drawing was directly inspired by a great solo guitar piece, the Nocturnal, by one of my favorite composers, Benjamin Britten. (Who is one of Britain’s greatest composers) When I was drawing this, I was also working hard at being able to play this piece, a big musical and technical challenge. The Nocturnal is a set of musical variations that were inspired by a theme, and rather than elaborating on the theme and ornamenting it, they are musically searching for it, finding a fragment here, a fragment there, and they don’t find it until the very end of the piece. When the theme finally arrives, it’s hauntingly beautiful, a peaceful but heart-rending song called Come, heavy sleep, written by 400 years ago another British composer, the lute player John Dowland. Yup, the lyrics are pretty dark. And the Nocturnal reflects that in its surreal and haunting series of vignettes, a series of beautiful but disturbing dreams leading to final rest. 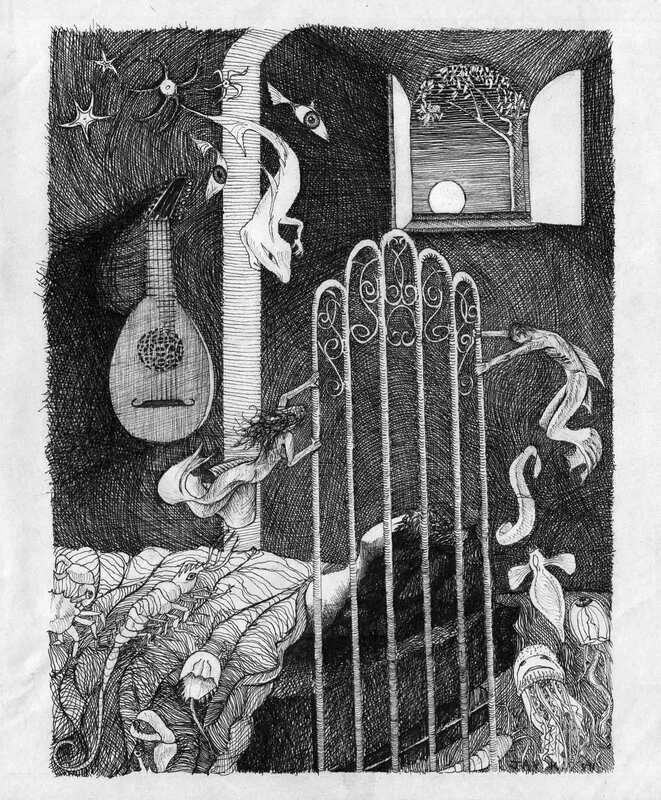 In the drawing, you can see the sleeper on his/her bed, being kept awake by all manner of disturbing dream creatures, while the lute, reminiscent of Dowland’s music, hangs on his wall, and the moon outside lights a peaceful garden.